NEW YORK -- Walmart is closing 269 stores, more than half of them in the U.S. and another big chunk in its challenging Brazilian market. The stores being shuttered account for a fraction of the company's 11,000 stores worldwide and less than 1 percent of its global revenue. More than 95 percent of the stores set to be closed in the U.S. are within 10 miles of another Walmart. The Bentonville, Arkansas, company said it is working to ensure that workers are placed in nearby locations. The store closures will start at the end of the month. Walmart released the list of stores closing Friday afternoon. No stores in New York or New Jersey will close. Only one store in Hartford, Connecticut, will close. The announcement comes three months after Wal-Mart Stores Inc. CEO Doug McMillon told investors that the world's largest retailer would review its fleet of stores with the goal of becoming more nimble in the face of increased competition from all fronts, including from online rival Amazon.com. "Actively managing our portfolio of assets is essential to maintaining a healthy business," McMillon said in a statement. "Closing stores is never an easy decision. But it is necessary to keep the company strong and positioned for the future." Walmart operates 4,500 in the U.S. Its global workforce is 2.2 million, 1.4 million in the U.S. alone. Walmart has warned that its earnings for the fiscal year starting next month will be down as much as 12 percent as it invests further in online operations and pours money into improving customers' experience. Of the closures announced Friday, 154 locations will be in the U.S., including the company's 102 smallest-format stores called Walmart Express, which were opened as a test in 2011. 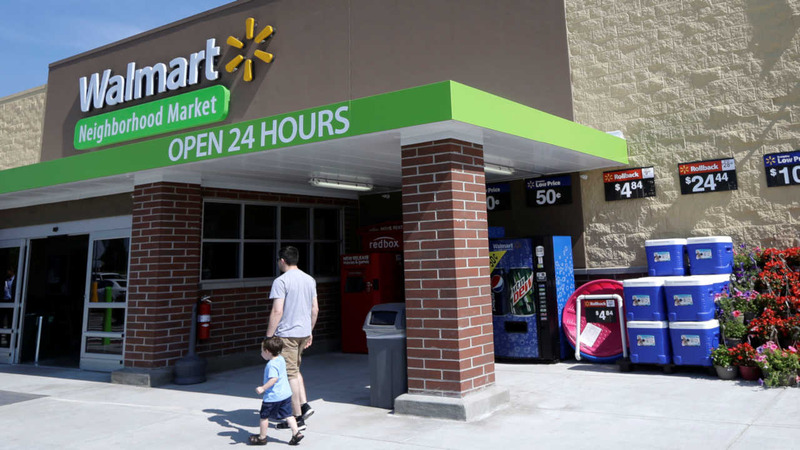 Walmart Express marked the retailer's first entry into the convenience store arena. The stores are about 12,000 square feet and sell essentials like toothpaste. But the concept never caught on as the stores served the same purpose as Walmart's larger Neighborhood Markets: fill-in trips and prescription pickups. Also covered in the closures are 23 Neighborhood Markets, 12 supercenters, seven stores in Puerto Rico, six discount stores and four Sam's Clubs. Walmart will now focus in the U.S. on supercenters, Neighborhood Markets, the e-commerce business and pickup services for shoppers. The retailer is closing 60 loss-making locations in Brazil, which account for 5 percent of sales in that market. Walmart, which operated 558 stores in Brazil before the closures, has struggled as the economy there has soured. Its Every Day Low price strategy has also not been able to break against heavy promotions from key rivals. Walmart said that it's still sticking to its plan announced last year to open 50 to 60 supercenters, 85 to 95 Neighborhood Markets and 7 to 10 Sam's Clubs in the U.S. during the fiscal year that begins Feb. 1. Outside the U.S., Walmart plans to open 200 to 240 stores. The financial impact of the closures is expected to be 20 cents to 22 cents per diluted earnings per share from continuing operations with about 19 cents to 20 cents expected to affect the current fourth quarter. The company is expected to release fourth quarter and full year results on Feb. 18. Shares of Walmart Stores Inc. fell $1.12, or 1.7 percent, to 61.94 in morning trading.